Me Ship, the Olive is a small multi-story play area for kids tucked against the lagoon’s edge. 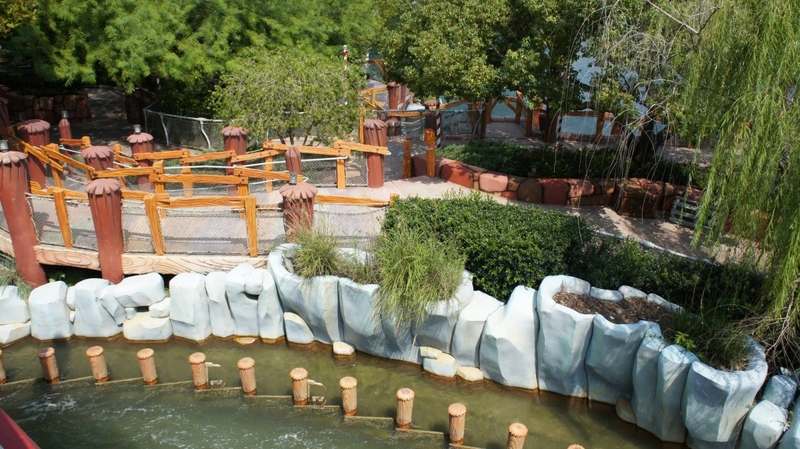 Don’t miss the free water canons at the top for spraying guests on Bilge-Rat Barges. 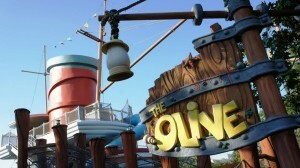 Me Ship, the Olive at Universal’s Islands of Adventure. There is also a lovely series of paths below the Olive that are almost always devoid of guests, which makes them a perfect getaway from the crowds. You’ll be surprised by how pretty this hidden area is (see the pictures in the photo gallery below). Very kid-friendly! 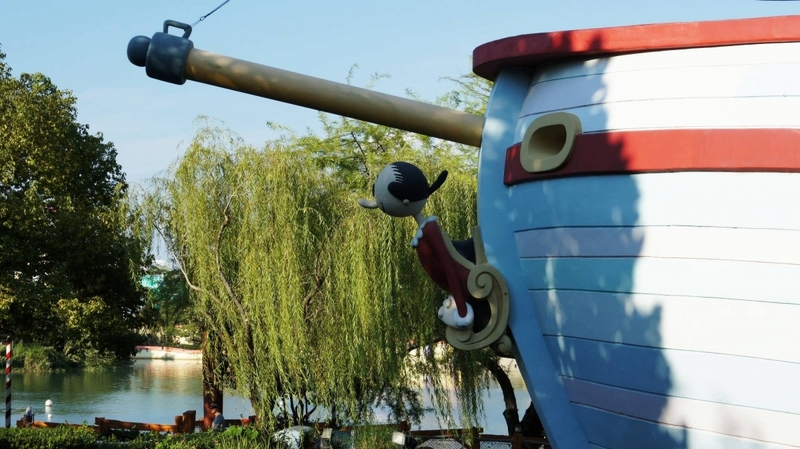 My favourite part about this little bit is that there is a section where we can shoot water at the people below us who is riding the Popeye ride! 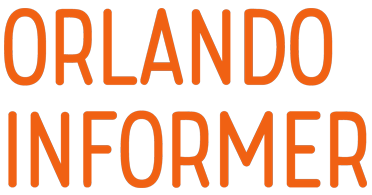 When I went to Universal Orlando as a child, this was always one of my favorite places to go. It's a beautifully themed little ship and the kids absolutely adore it. I totally recommend stopping here if you have little ones. 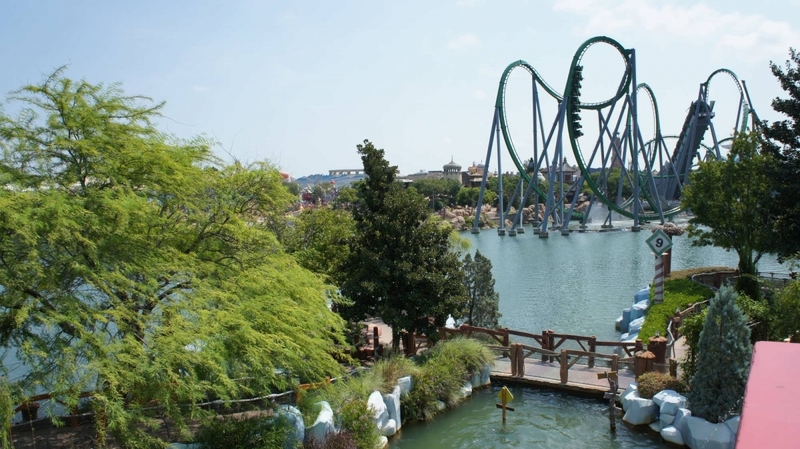 Although, if you don't it will probably be somewhat boring for you, even though it is fun to go and explore (not to mention you get to blast riders on Popeye and Bilbo's with water!). 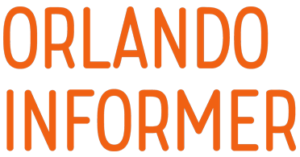 I think this location could easily be missed with all of the hustle and bustle of Islands of Adventure. The area is mainly a play area for younger children, with different levels and buttons to press. However the attraction also allows brilliant views to be seen across the park. 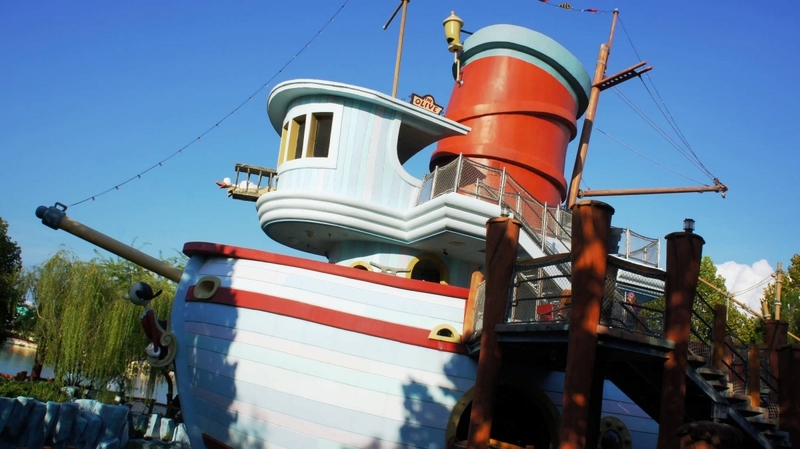 We used this area when some of the older people in the group wanted to go on Popeye & Bluto’s Bilge-Rat Barges, so the younger children went on this attraction. They were able to let of some steam and able to run around rather than being constricted to a line. The children also found it very enjoyable they could shoot people with the water cannons on the near by attractions. There are also many slides, ropes, bells and nets to play on and with to keep the young ones occupied! 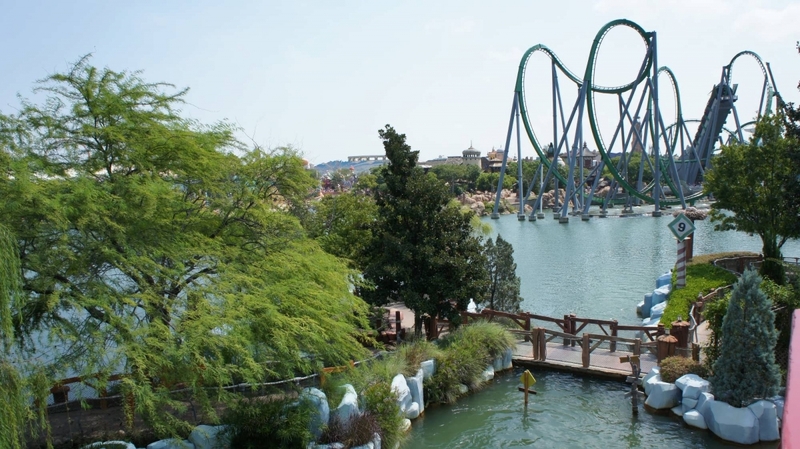 Often when we have been to this area there have been little or no other people around, as many may be queuing up on the rides, this is a perfect little get away. My daughter is too little to travel to Orlando with me right now, but I still love stopping at this location. One, it's not as crowded as some of the rest of the park, so it's a nice place to eat lunch on a nice day. The BEST part about this section of the park, however, is the free water cannons by Popeye and Bilbo's! After being hit by those several times in my riding experience, its fun to return the favor to other unsuspecting riders!